Bonjour! Mabuhay! ^_^ When June 16 comes, it'll be dad's turn to be spoiled...Happy Father's Day! Sofitel Manila is inviting the whole family to a grand celebration of fatherhood and paternal bonds through a gastronomic feasting at Spiral's famous Sunday brunch, and a whole lot more lavish treats to complete the bespoke experience only for Dad. C'est Magnifique! Dads who drop their business cards get the chance to experience the adrenaline rush of driving a blue Maserati Granturismo equipped with 460 horsepower, 4.7 liter engine”. 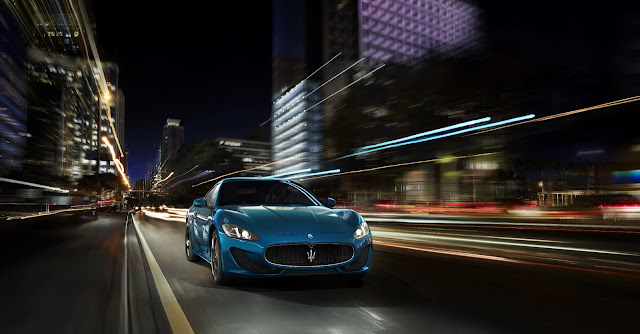 Maserati’s First Class Ticket to Luxury is a 15 minute test drive around Mall of Asia. Other exciting prizes include one dad winning a sporting evening with seven friends at Snaps as well as gifts from Azzaro perfume, Kiehl’s and Vietura Aesthetic Lifestyle Institute. Executive Chef Eric Costille will set the speed starting with a variety of sumptuous prime meats at the Churrasco atelier from Cote de Boeuf brushed with sea salt and black peppercorn, slow cooked US prime beef leg and leg of lamb. This is followed by the jewels of the sea at the L’écailler including salmon and fish caviar, fresh Brittany creuse oysters, lobsters. Then there is everyone’s sanctuary - L’épicerie which offers a wide variety of the best cheese and charcuterie from France, Italy, Germany and Switzerland. A Johnnie Walker Gold Label Reserve whiskey tasting. A cigar rolling demonstration by Tabacalera Incorporada. The Father’s Day Sunday Brunch at Spiral rate set is at Php 3,250.00+++ for adults and Php 1,600.00+++ for children 4 to 11 years old. To book a table online, please go to http://www.sofitelmanila.com/en/spiral.html. For inquiries and reservations, please visit https://www.facebook.com/SofitelManila/app_200988520039060. SPIRAL RESTAURANT Sofitel Luxury Hotel Philippine Plaza Manila is located at CCP Complex, Roxas Boulevard Pasay City 1300 Metro Manila, Philippines. Sofitel is the only French luxury hotel brand with a presence on five continents with 130 addresses, in more than 50 countries. Sofitel offers contemporary hotels and resorts adapted to today’s more demanding and more versatile consumers who expect and appreciate beauty, quality and excellence. Whether situated in the heart of a major city like Paris, London, New York or Beijing, or nestled away in a country landscape in Morocco, Egypt, Fiji Islands or Thailand, each Sofitel property offers a genuine experience of the French “art de vivre”.